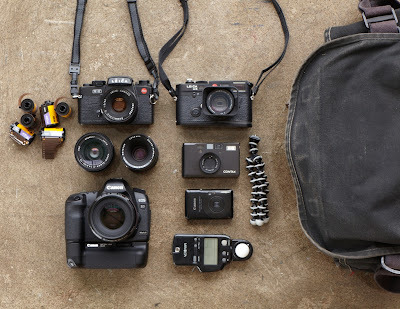 I LIKE TO KEEP MY PERSONAL PACKING FOR TRAVEL LIGHT, VERSATILE AND APPROPRIATE FOR THE DESTINATION, THIS INCLUDES MY CAMERA GEAR. 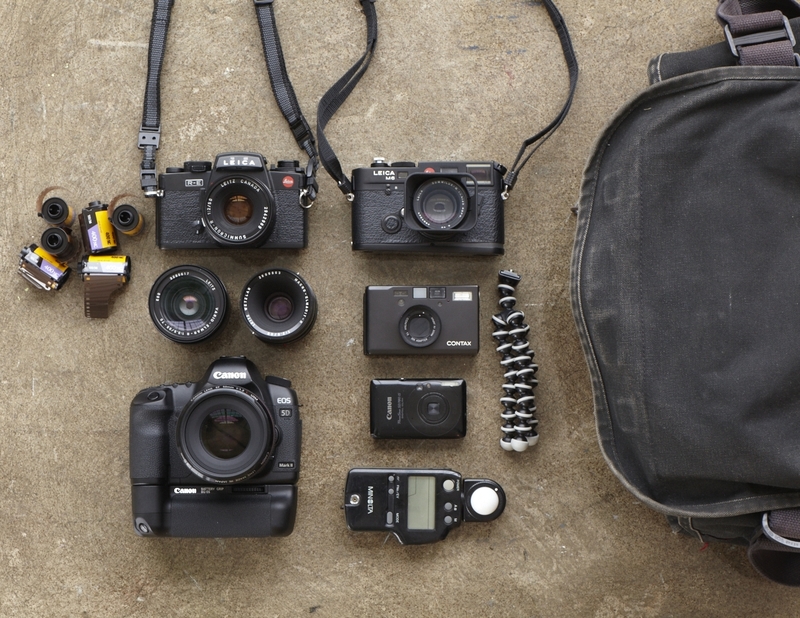 THIS THANKSGIVING I'LL BE IN PARIS AND HERE IS MY KIT BREAKDOWN FOR THE TRIP. THIS PARTICULAR KIT IS A BIT HEAVY (OVER PACKED) BUT, SINCE I AM SETTING UP SHOP FOR A WEEK AND NOT MOVING AROUND TOO MUCH, I DON'T MIND SCHLEPPING A BIT MORE JUST TO HAVE IT. Jealous. Bring back lot's of good pics! How is that SD780? Is it worth it to pay the extra $125 for the Powershot S90? Just looking to take some decent pics of my kids, etc. Contax T3...The best of the lot!